Jay Hess was born in 1930 in Ogden, Utah. He enlisted in the U.S. Air Force on September 8, 1953, and began Aviation Cadet training on November 16, 1953. 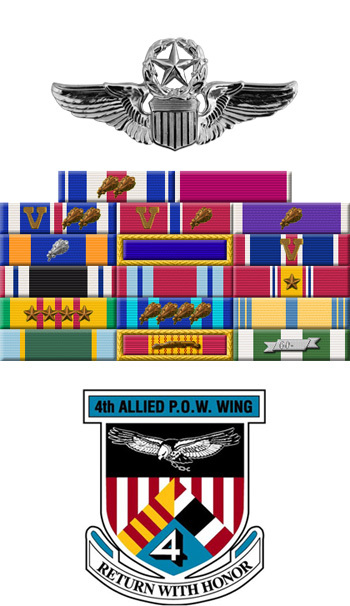 Hess was commissioned a 2d Lt and awarded his pilot wings at Williams AFB, Arizona, on February 24, 1955, and then served as a Ground Intercept Controller with Air Defense Command at MacDill AFB, Florida, from May 1955 to May 1956. His next assignment was as an F-89 Scorpion pilot and then as an F-102 Delta Dagger pilot with the 438th Fighter Interceptor Squadron at Kinross AFB, Michigan, from November 1956 to May 1960, followed by service as Assistant Manpower Officer with the 507th Fighter Group at Kincheloe AFB, Michigan, from May to September 1960. Capt Hess then completed an Air Force Institute of Technology assignment to complete his Bachelor's Degree in Aeronautical Engineering at Wright-Patterson AFB, Ohio, in October 1962, followed by service as an F-105 Thunderchief pilot with the 354th Tactical Fighter Squadron of the 355th Tactical Fighter Wing at George AFB, California, from October 1962 to April 1964. He next deployed to Europe where he served as an F-105 pilot, and later as an F-4 Phantom II pilot, with the 22nd and 23rd Tactical Fighter Squadrons of the 36th Tactical Fighter Wing at Bitburg AB, West Germany, from April 1964 to May 1967. Capt Hess then deployed to Southeast Asia where he served as an F-4 pilot with the 558th Tactical Fighter Squadron of the 12th Tactical Fighter Wing at Cam Ranh Bay AB, South Vietnam, from May to June 1967, and then as an F-105 pilot with the 357th Tactical Fighter Squadron of the 355th Tactical Fighter Wing at Takhli Royal Thai AFB, Thailand, from June 1967 until he was forced to eject over North Vietnam and was taken as a Prisoner of War on August 24, 1967. After spending 2,030 days in captivity, Col Hess was released during Operation Homecoming on March 14, 1973. He was briefly hospitalized to recover from his injuries at March AFB, California, and retired from the Air Force on November 1, 1973. 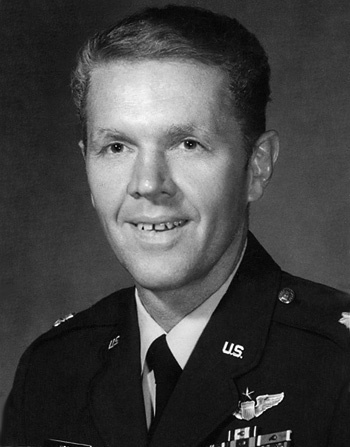 Col Hess then served as an Air Force Junior ROTC Aerospace Science Instructor at Clearfield High School in Clearfield, Utah, from 1973 to 1995.